A magnificent ode to this world-class music icon, the Bob Marley tango GMT timepiece is limited to just 1,500 pieces worldwide and set to be an international success. 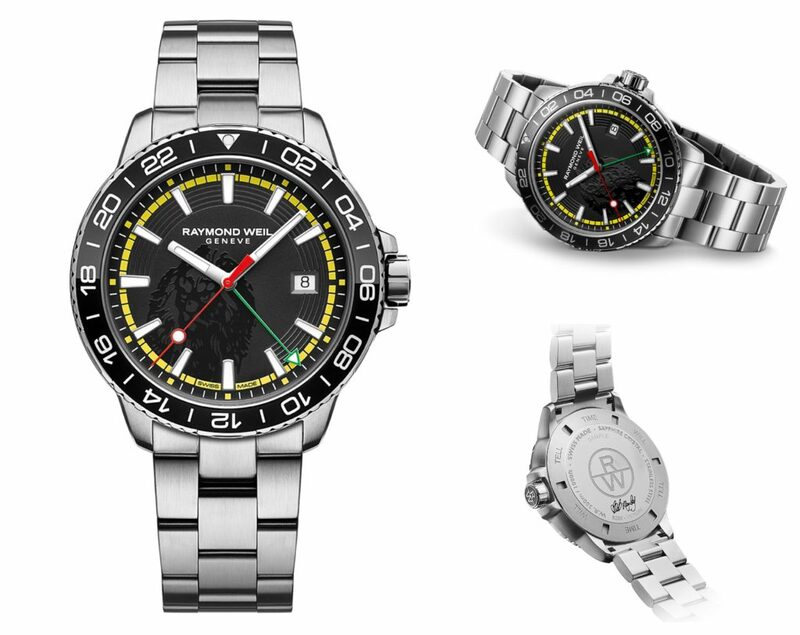 With the first Bob Marley Caribbean Exclusive Limited Edition timepiece selling out when reaching the market in 2017, the new Bob Marley tango GMT Limited Edition designed in collaboration with House of Marley will not be around for long – so add this collector’s piece to your collection while you can! The black dial is decorated with the iconic lion head that every Marley fan will recognize. With a colour palette inspired by the Ethiopian flag, this exclusive watch features sapphire crystal with a red second hand, green GMT hand and yellow circumference circle. The numbered case back is engraved with Bob Marley’s signature and the famous “TIME WILL TELL” mention in reference to successful title from Kaya Album. Housed in a 42mm polished steel case with a GMT function, the timepiece is finished by an aluminum black and grey anodized bezel. As well as a stunning appearance, the tango GMT Bob Marley stands up to the strength of the main RAYMOND WEIL tango collection and is water resistant up to 300 meters. With a stainless steel bracelet, completed with double pusher security clasp, this Limited Edition is a must-have item for any Marley fan. says Cedella Marley, daughter of Bob Marley. “RAYMOND WEIL has always been closely linked with music and we are overjoyed to collaborate with House of Marley to honour this legendary artist”, says Elie Bernheim, CEO of RAYMOND WEIL. 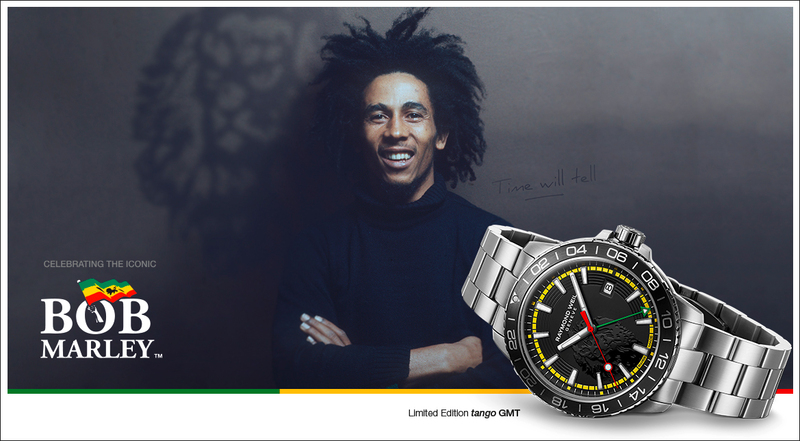 Produced as a 1,500 piece limited, numbered series, the tango GMT Bob Marley Limited Edition is a real tribute to the life and musical career of Bob Marley.